1. Increase in home value. If you plan on selling your home in the near future, a fence may be just the perfect element to close the contract a little quicker. Prospective homeowners with pets or young children may be more likely to buy your home than a similar property with less security. Fencing materials also will play a key role in your return on investment. Chain-link fences are more affordable but don’t add greatly to the resale value. 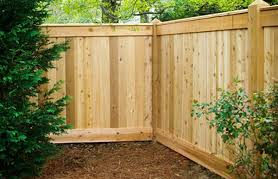 In contrast, concrete privacy fencing and solid wood fencing can accrue as much as 50 percent of the labor and material costs. If you reside near a busy street, highway, or freeway, you likely hear a lot of noise from incoming and ongoing traffic. The passing sound of cars and trucks may block your experience of enjoying a good book under a tree or listening to the chirp of local birds. your own yard. In fact, a good fence could lower your ambient sound by as much as six to 10 decibels. Of course, your fence’s construction determines its ability to deflect sound. A high privacy fence with no gaps between the planks effectively blocks noise while a low chain-link fence has little to no effect at all. You might enjoy how your yard seamlessly merges into your neighbor’s adjoining yard. The open space gives kids—yours and your neighbor’s—plenty of room to run, play, and frolic. But if you plan to sell your home, you’ll want to account for every square foot of property that you own. The more land you have, the higher the total resale value. And if you don’t know where your property ends and where your neighbor’s yard begins, you’ll need to hire an expert to survey the land. A privacy fence provides clear-cut boundaries so you can calculate your total square footage. To avoid a possible lawsuit for adverse possession, make sure that your new fence doesn’t overreach your lines and extend into your neighbor’s property. Whether temporary or permanent, professional, business, or home—fencing enhances any setting. 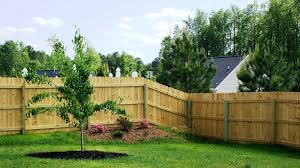 If you’d like to see what a privacy fence could do for you and your family, contact our helpful professionals at West Memphis Fence.